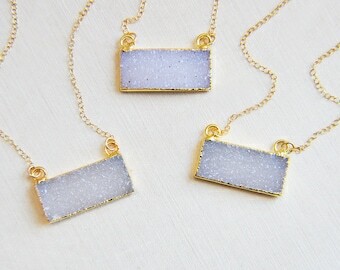 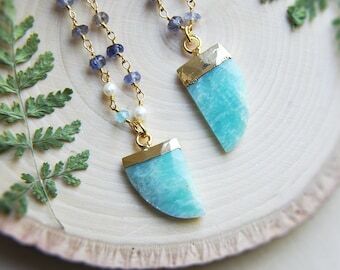 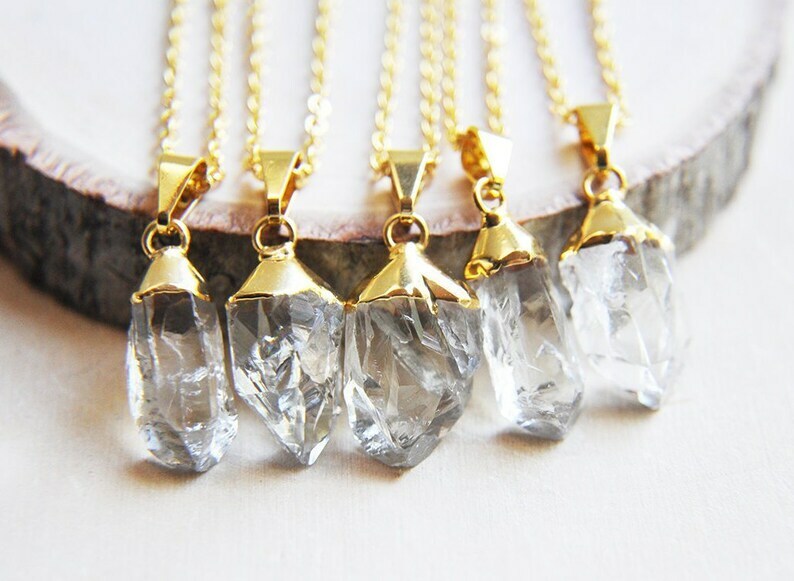 These lovely clear raw quartz points are electroplated with gold and suspended from a gold bail. 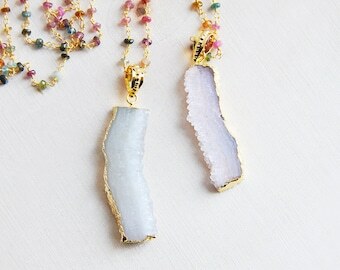 Each quartz point is rough cut and unique. 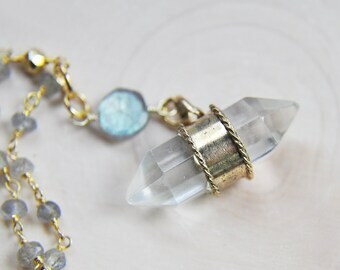 You will receive the exact raw quartz you select from the drop down menu. 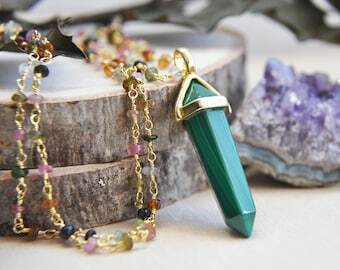 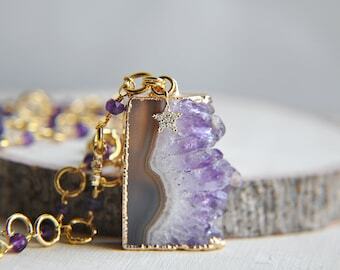 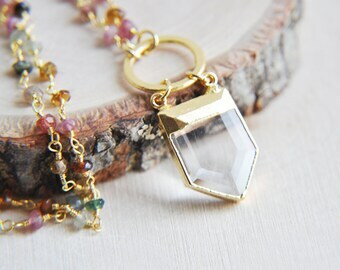 Your natural raw quartz necklace arrives suitably gift wrapped ready for giving.